It feels like déjà vu reading July 2011’s kitchen garden update – rain, rain and more rain. 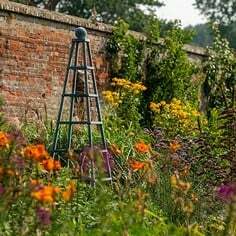 Our English summers seem to be having a common theme these days and the lack of sunshine is affecting our crops but as the saying goes England in this ‘green and pleasant land’ us gardeners will ‘carry on gardening’ and we will get a good crop of vegetables this summer! We are making sure that we are feeding all our flowering plants regularly as all this rain will have washed away goodness and nutrients from the soil and the crops will need all the help they can get this year. We use Organic seaweed & Organic Liquid Fruit & Veg Feed – whatever you decide to use it needs to be high in potassium to encourage flower formation. Here’s a rundown of what’s doing well and what’s not doing so well in Stephanie’s Kitchen Garden so you can compare to your own experiences (Lynn our Kitchen Gardener will be delighted to hear from you if you are having the same problems or successes - Email her at lynn@harrod.uk.com). Apples – The cooking apples (Bramley Seedling) are the best this year but the wind and rain earlier in the season destroyed most of the apple blossom from the eating varieties. Same thing with the pears last year was a fantastic year for Apples & Pears – so you win some you lose some. Aubergines – Our aubergine plants look really healthy in the greenhouse, most have got at least one or two fruits on them, albeit only a few centimetres in size. 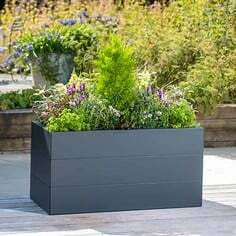 These need to be fed regularly to encourage the flowers/fruit to grow, also misting when the flowers have set and removing the growing tip once it reaches 12”. We have ‘Black Beauty’ & ‘Rosa Bianca’ varieties to try this year. Blackcurrants – A fairly good crop has been harvested. Not destined for Crème Cassis this year but as a blackcurrant puree for deserts. Courgettes – are definitely late this year and it looks like there has been a bit of a problem with pollination probably due to the rain. However we are picking ‘Genovese’ (Italian), Rondo di Nizza (lovely round fruit). ‘Defender’ & ‘Soleil’ fruits will be ready in a few days less if it keeps raining! We were disappointed that the ‘Black Forest’ variety didn’t germinate after two attempts – these were destined for climbing up our new obelisks. French Beans – Always seem to do well regardless of the weather, we are growing and picking ‘Helda’, ‘Necker Queen’ & ‘Cobra’ (Climbers) and ‘Aiguillon’ & ‘Triomphe de Farcy’ (Bush varieties). Our new ‘Slot & Lock Pea & Bean’ frame has done a sterling job. Leeks – Our leeks have been growing away in a seed bed for a couple of months now and we have transplanted them now into their final growing position. All is well so far so we have fingers crossed for a better crop this year and hopefully no leek rust. Varieties we have planted are ‘Bandit’, ‘Hannibal’ & ‘Hilari’. Onions & Shallots – These have all have been harvested and dried out in the sun (yes sunshine!) for a day or so before storing in onion sacks. The ‘Shakespeare’ onions were the best yield this year. With the shallots the ‘Red Sun’ variety were good, but the ‘Longor’ could have done with being a bit fatter but they will both taste good in the pot! Peas – We are pleased with the ‘Rondo’ variety, good full pea pods and are tasty too. We have grown ‘Purple Podded’ this year for the first time, these look stunning as they climb up the bean frame to a height of 2 metres and give colourful flowers (like Sweet Peas) followed by a lovely deep purple coloured pea. Not the sweetest of peas though I might add. We tried to sow them a few weeks apart so we have a succession of peas for our consumption! Peppers – The peppers are doing great in the greenhouse, they are planted in Quadgrows - these are really the perfect thing to grow peppers in, they are self watering so you can almost forget about them! We can recommend the ‘Sweet Nardello’ peppers – they are an Italian Heirloom variety and we are really impressed with them – the plant is full of 4-5” fruits (we will take a photo for next month hopefully they will be red by then). Potatoes – I just love harvesting potatoes it’s my favourite job in the garden! The expectation of how many potatoes you might find is so exciting (I’m easily pleased!). We have harvested all our first & second earlies in potato bags and the ‘Lady Balfour’ in the ground. The ‘Lady Balfour’s were good and not a sign of potato blight so far so good! Don’t forget to plant your potatoes in bags now for Christmas! Squash – The ‘Uchiki Kuri’ & ‘Golden Apple’ are doing well climbing up the Squash & Cucumber Frame. The ‘Winter Hornet’ is romping away in the manured hot bed, however the ‘Early Butternut’ and the other ‘Winter Hornets’ in the ground are very slow and don’t seem to be growing much at all. I’m going to give them a good feed, ‘Strulch’ them to keep the moisture in and cover with a fleece tunnel to keep them warm. 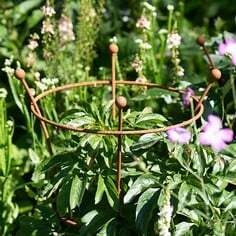 Next year we are going to plant four of the small round ‘Uchiki Kuri’, ‘Golden Apple’ or even ‘Tromboncino’ up one of our Black Steel Pyramid Obelisks. Strawberries – these have been very disappointing this year, it may be because of lack of sun but maybe because they are only first year plants. We had an early crop from the early variety ‘Gariguette’ in the greenhouse but the rest are very poor this year. The birds were eating them so we’ve covered them with our Slot & Lock Strawberry Cages which have done the trick and look stylish too. Sweetcorn – Our sweetcorn is not doing too badly considering the weather we have had. Just hope that they get pollinated so come on bees where are you! 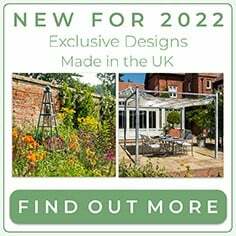 We’re growing ‘Luscious’ – wish the weather was! More news next month, in the meantime I’m off to sow some seeds – yes you’ve guessed it, it’s raining again! 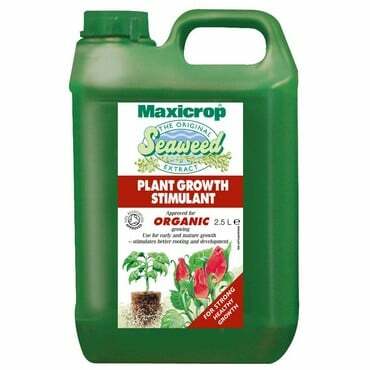 · Feeding all flowering crops weekly/bi weekly with Organic seaweed as required. · Continue to succession sow Beetroot, Carrots, Spring Onions, Lettuces & Peas/Beans to keep a supply of veg going through to late summer/autumn. · Continue to pick peas & beans – the more you pick the more new flowers will appear. 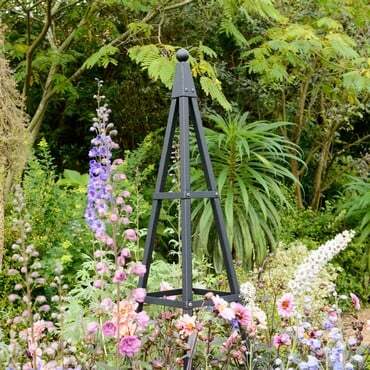 · Sow another batch of climbing French Beans ‘Cobra’ for an autumn crop to climb up an obelisk. 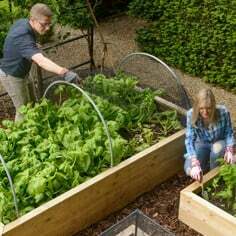 · Sow more oriental vegetables such as mibuna, mizuna, mustard greens. · Continue to tie in and pinch out tomato sideshoots and tie in cucumbers. 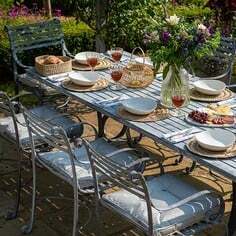 · Tie in blackberry stems to ensure they are supported when full of fruit. · Cut back this year’s fruiting stems on raspberry bushes. · Tidy up the fig bushes by cutting back the side branches to keep in good shape and encourage fruit to form. · Regularly trim off the strawberry runners to keep the energy in for fruiting. Cut back early fruit varieties and remove straw. · Summer prune our espalier apple trees – shortening all new shoots growing vertically off the horizontal branches. 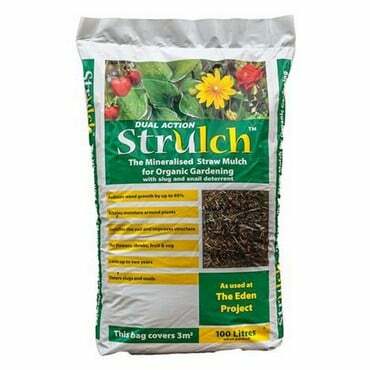 · Continue to apply Strulch around the base of all our thirsty plants to keep the moisture in (ideal for squash and courgettes). 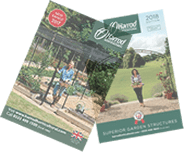 Our 116-page Autumn 2012 catalogue is nearing completion and I can tell you it's packed full of gardening ideas, products and solutions to the problems every gardener faces, plus plenty of more relaxing ideas to help you make the most of the hard work you put into the garden during the year. 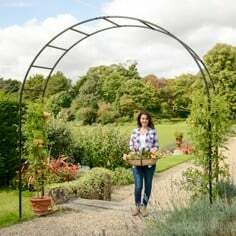 There's even a 19 page Garden Structure section for all your arches, obelisks, plant supports and much more so for a happy harvest, keep an eye out for the Autumn catalogue!